Tear the bread into bite size pieces and place into the oven or under the grill until toasted and slightly crunchy, turning occasionally. Stir the herbs into the ricotta, season with pepper to taste. 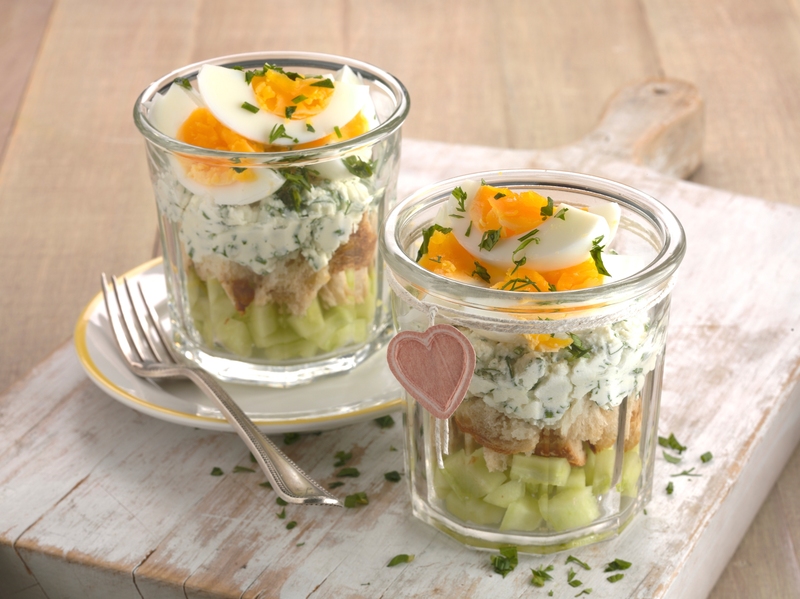 Divide the cucumber in the bottom of two glasses followed by the bread chunks, ricotta and boiled egg. Tip: Replace the cucumber with tomato or diced ham for different flavour combinations.